Recently there has been a lot of buzz and news about the new Star Wars movie. Upon hearing this most joyous news, I pranced and danced through the halls, proclaiming my joy, for a new Star Wars movie we will receive at last. While spreading the happiness to my friends, I came across several people who told me that they had never even seen the movies. I wondered how hard it must be to pretend to be happy amongst all of that emptiness. If you, for some reason, are in this group of troubled individuals, I am going to tell you why you should watch these masterpieces, as well as where to start. So, first things first. You can find the movies anywhere that sells anything, because most stores are smart. Start with the original trilogy. No, not original as in movies 1-3, the originals as in movies 4-6. Does it make sense? No. Does it have to? No. Hollywood doesn’t owe you anything. Step two: watch movies 4-6. Why? They’re some of the greatest movies of all time, according to other people, not me. Episode V is considered by IMDB to be the fourth greatest movie of all time, behind only the first two Godfather movies and The Dark Knight. Secondly, you’ll understand most of modern pop culture. More specifically, a certain spoiler from Empire. Now, after you’ve watched movies 4-6, you’re ready for the prequels, 1-3. Two and three are pretty good, but the trilogy starts off a little rocky, so brace yourself. You’re about to meet the worst character ever devised by a group of semi-talented people. 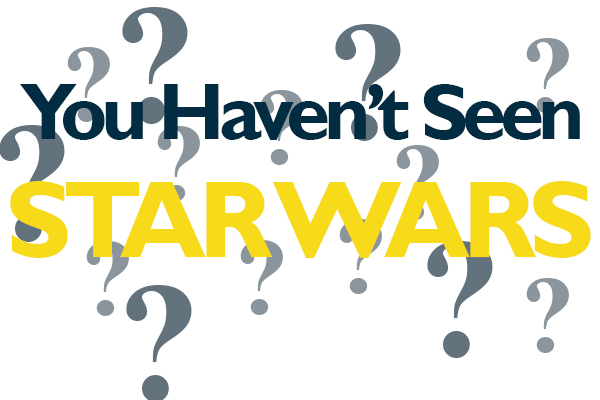 Now that you’ve watched Star Wars, you’re ready to be a normal person. Good luck.